Read about the mother of all alien bases! 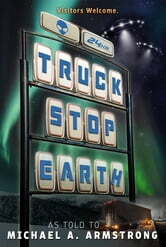 The big one, the mega-base, the center of the Alien Occupation Government: the headquarters, the brain, the nerve center, the absolute pinpoint big base, is right here on Earth, just outside Della, Alaska. Forget Roswell. Forget Machu Picchu. Forget Stonehenge and Tikal and all those alleged alien bases -- abandoned, every one of them. This is the big one, right here on Planet Earth, right now, the source of all the world's troubles, the whole solar system's troubles. Right here. 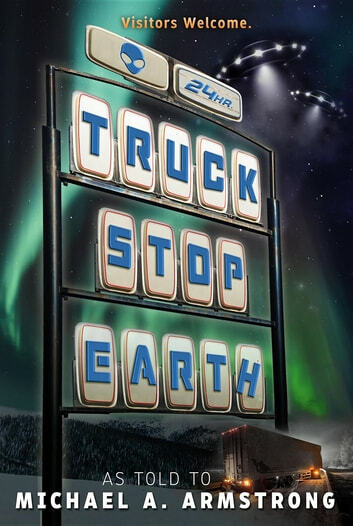 Finally, the unflinching truth about aliens on Earth is exposed in Truck Stop Earth, as told by an alien abductee to award-winning reporter, Michael A. Armstrong.